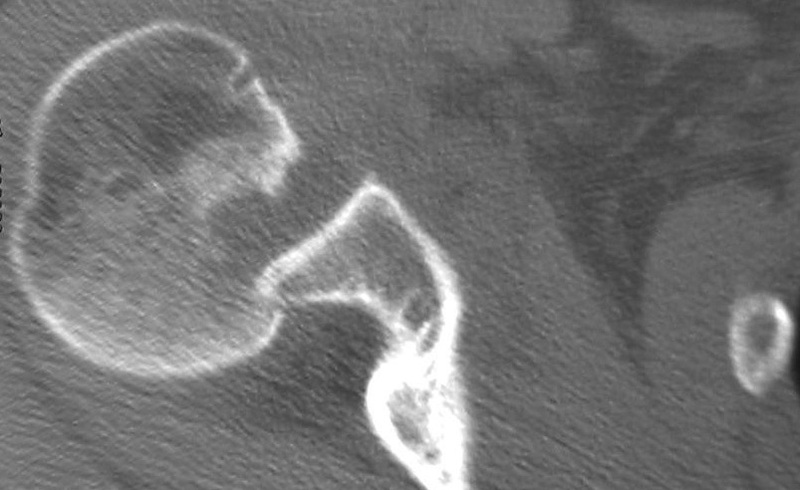 Anterior dislocations make up the vast majority of all instability problems. This occurs when the ball of the shoulder joint gets forced so far forwards that the restraints holding the joint in position tear and the shoulder pops out of the joint. Often sedation an A&E is necessary to reduce the shoulder back into its normal position. Some patients experience numbness / heaviness in the arm or hand. This is usually temporary and has occurred because some of the nerves around the shoulder joint have got stretched at the time of dislocation. The natural history of acute traumatic anterior dislocation of the shoulder is age dependent. 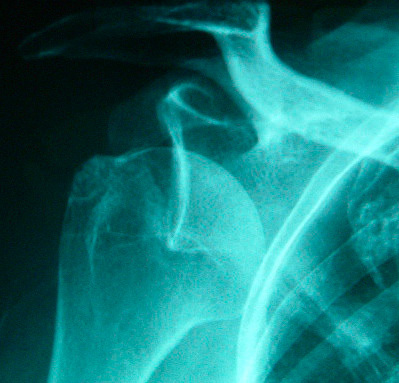 Most shoulder surgeons treat most 1st time dislocations non-operatively. There is some limited medical evidence supporting early surgery in young adults, usually male, engaged in highly demanding physical activities with a first time acute traumatic shoulder dislocation. There is no strong evidence that early surgical intervention is beneficial for other categories of patient (Cochrane Database, Review. August 2006). After the first time dislocation and reduction (usually in A&E), the shoulder can be quite painful. It is necessary to rest and protect the shoulder in a sling. There is some evidence that an external rotation brace can reduce the recurrence rate, but this brace must be applied within the first 24hrs from dislocation and be worn continuously, 24hrs per day for 3 to 4 weeks. Any breach in compliance negates all benefits the brace provided. As compliance with treatment is so important yet so difficult with this brace, it is not commonly used. Most A&E department will immobilize the shoulder in a standard sling. After the acute pain has settled it is important to undergo a shoulder rehabilitation program. This helps settle discomfort further and may prevent or reduce future abnormal muscle activations. In doing so, whilst it does not eliminate recurrence, it may reduce the frequency of re-dislocation. If recurrence of shoulder instability occurs after having had an appropriate rehabilitation program then the patient must make a choice of either reconstructive surgery or a lifestyle change to include activity modification and avoidance of manoeuvres that put the shoulder joint at risk. Usually, I offer my patients surgical stabilisation of their shoulder joint whenever they experience their second episode of instability, having completed my rehabilitative physiotherapy program or suitable alternative. Prior to surgery, the anatomy of the shoulder requires investigation to determine the magnitude of both soft tissue and bony damage. These investigations may include simple x-rays, CT scans and / or MRI / MR arthrogram. The type of operation performed is determined by both the structural abnormality and the potential future demands placed upon the shoulder by the patient. These procedures may be carried out either arthroscopically (keyhole) or via open surgery. The results of arthroscopic stabilisation are comparable to that of open surgery. Arthroscopic surgery has the advantage over open surgery of less pain, stiffness, scarring and the ability to treat other conditions simultaneously. I reserve open procedures for cases where the soft tissues are unreconstructable or there is extensive bone loss from either the glenoid (socket), or humeral head (ball) sides of the joint.